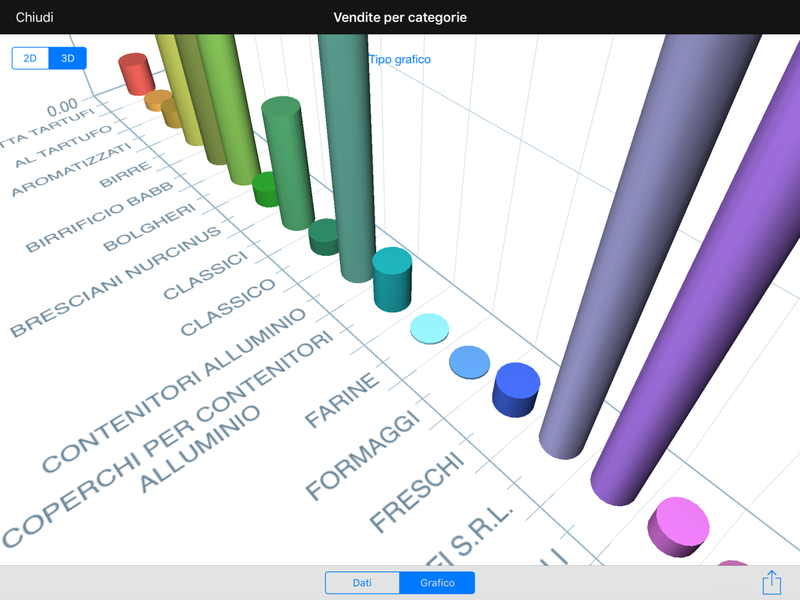 Customisable dashboards with 2d/3d dynamic charts and graphics. Report with totals for the period, item groups or sales reasons. Display of sales reports divided by area or department allowing large size businesses to optimally manage multilevel permits.